LEGO has announced a new play experience called LEGO Fusion which merges the LEGO bricks that we’re used to with app-based game themes. 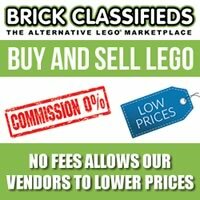 Starting this summer, there will be some new sets and apps that kids can play with that combines the traditional brick building experience with some unique game play. There will be four different sets that will be in the LEGO Fusion collection: Tower Master, Battle Towers, Create & Race, and Resort Designer. The sets will be available at LEGO Brand Stores and Toys R Us for $34.99 each and will be launching in August and September. The free Android and iOS app is developed by none other than TT Games. You’ve probably heard of these guys before so you’ll no doubt be getting a great gaming experience with the apps. You use your camera on your smartphone or tablet to scan your build to immerse it into the digial world. There you can play games on your device depending on which set you got. Read more details of the LEGO Fusion sets in the official press release below. NEW YORK, June 19, 2014 /PRNewswire/ — LEGO Systems, Inc., makers of the world’s leading construction toys, today introduced LEGO® FUSION, a play experience that combines traditional LEGO brick play with familiar app-based game themes. 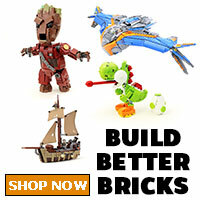 LEGO FUSION leverages new technologies? ?and children’s fascination with them? 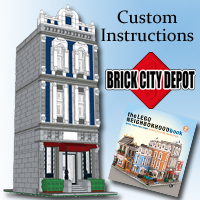 ?to create an entirely new way to engage in LEGO brick building and app game play for children ages 7 and up. Available later this summer, the LEGO FUSION collection will include four distinct titles: LEGO FUSION Town Master, LEGO FUSION Battle Towers, LEGO FUSION Create & Race and LEGO FUSION Resort Designer. 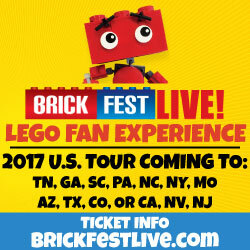 Each LEGO FUSION experience consists of a distinct set of LEGO bricks, a corresponding free downloadable app and the new FUSION capture plate, a small brick building plate with a printed design that enables a smart phone or tablet’s camera to identify the size and colors of the LEGO bricks built onto it. In response to game prompts, children build vertically in 2-D on the FUSION capture plate, enabling the app to ‘see,’ import and transform the creation into 3-D in the digital world. Once a child’s creation has been imported into the game, a series of challenges and interactions requires that players turn away from the device and return to the real world to use their LEGO bricks to build new solutions in order to move game play forward. Each game encourages this back-and-forth between physical and virtual, keeping children engaged in both worlds. In this simulation game, players create and rule their own LEGO town, first by building it with LEGO bricks, then by capturing it and importing it to the game. Children build everything from houses to a pizzeria, fire station and bike shop while completing errands and missions like catching robbers, fighting fires and skateboarding. To keep the minifigure citizens happy, players solve problems through physical building and earn points to gain access to more structures, and even run additional towns. Players build a tower and defend it against attack so they can rule the kingdom. First, players design the Battle Towers with real LEGO pieces, then capture them and import them to the game. Next, players choose tower defenders like wizards and archers and battle against evil warriors, skeleton armies, and more. If a tower is damaged in battle, players can repair the damage with a timed build with the game’s real LEGO bricks. In this racing game, players get behind the wheel and virtually drive the cars that they create with real LEGO bricks. Once a custom vehicle is digitally designed, physically built, and imported to the game, it can be optimized for success in racing, demolition or stunts. Players learn that every brick shape and color on the vehicle matters for performance. Three themed courses offer endless challenges unlocked by physical LEGO builds, and children can even ghost race against friends to top the leaderboard. Players help the LEGO Friends design new vacation houses, shops and activities for Ambersands Beach. After building 2-D facades, capturing them and importing them to the game, players can design the interiors of 3-D digital structures, such as an aquarium, surf shop and beach houses. Children can unlock new levels and build more resorts by completing missions like rescuing dolphins, riding horses, surfing and other resort activities. Beginning in September, LEGO FUSION will incorporate the ability for players to access their digital LEGO creations and game play anywhere. Using their LEGO ID, players can sign in on any compatible device and access their gallery and game play from within the LEGO FUSION app. Developed by TT Games, makers of the best-selling LEGO video game franchise, the LEGO FUSION Town Master, Battle Towers, Create & Race, and Resort Designer app games are free for download from the Apple, Google or Samsung App Store for Apple iOS and Android. LEGO FUSION Town Master, LEGO FUSION Battle Towers, and LEGO FUSION Create & Race will launch in August 2014; LEGO FUSION Resort Designer will launch in September 2014. Each will be available for $34.99 in LEGO Stores and Toys”R”Us stores in the U.S., as well as online at shop.LEGO.com and at toysrus.com. LEGO, the LEGO logo, the Minifigure and brick and knob configuration are trademarks of The LEGO Group. ©2014 The LEGO Group.